Without market research all you marketing efforts are essentially just a gamble. Investing in a professional marketing company to conduct good market research could save you thousands. Marketing research is a critical part to developing your marketing strategy. DLM Marketing design and conduct research to give you useful information which will provide you an insight into your customers’ mind so that you understand what they want, how they gather information and where they come from. DLM Marketing can also perform market research to help you get a better idea of market trends and what is happening in your industry sector. Information gather through market research is analysed and documented which is a great source of information for making good business decisions whether it’s deciding what product or service you’ll offer, where your business should be located, how to distribute your products or how you communicate with your consumers. 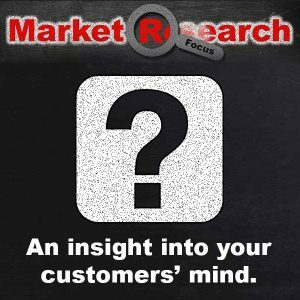 Good market research is without a doubt the most important part of any marketing, branding or business strategy. If you dive straight into a marketing campaign without key information your will most likely waste your time and money. A focus group is a method of exploratory research in which a collection of individuals are asked about their opinions, feelings, beliefs, and attitudes concerning a product, service, idea, advertisement, or packaging. Questions are asked in a collaborative group setting where people are allowed to chat with other group members. Through this process, the researcher also takes notes and records the important points he or she is getting from the group. Caution should be noted to select members of the group carefully for effective and convincing responses. Online market research has transformed the traditional aspect of market research. The option of online market research provides both advantages and disadvantages for researchers. An interview is a discussion where questions are asked and answers are provided. Most Interviews generally take place, face to face and in person, though modern communications technologies such as the internet have allowed interviews to happen in which people are divided geographically. Technology such as video conferencing software are often used in qualitative research in which companies try to understand how consumers think. Consumer research companies sometimes use computer-assisted telephone interviewing to randomly call people and conduct highly structured interviews. How will you select your population sample? This will have an influence on the quality of your research. If you get this part wrong you will most likely end up with skewed, bias data. What research method or methods will you use? How will you record and analyse the data collected? DLM Marketing can help you with your entire market research project or perhaps you would just like some advice and direction so you can conduct your market research in-house.